A new year, a new pancake recipe! This time, using chickpea flour. 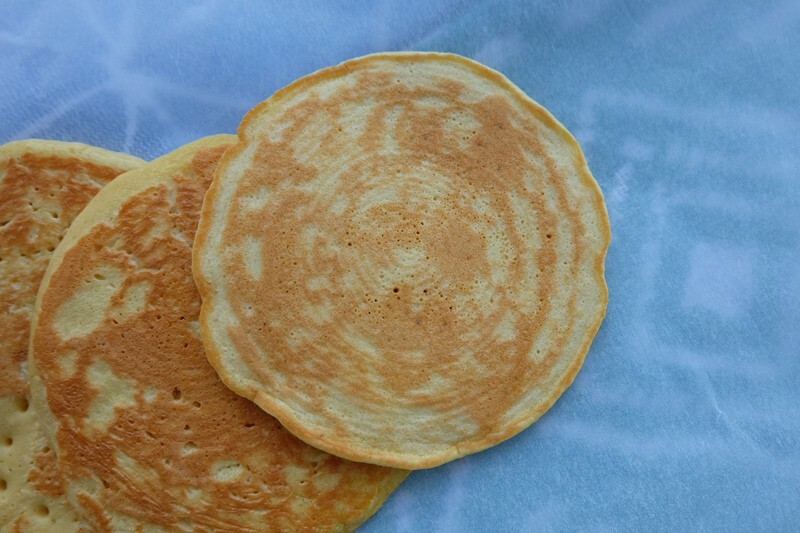 I’ve baked with chickpea flour before and always thought chickpea flour pancakes were a particularly nice way of using chickpea flour in baking. These chickpea flour pancakes are super light and fluffy (without the use of baking powder) and make an excellent weekend breakfast choice. Unfortunately, they are not quite vegan due to the added egg, but certainly a good option for anyone on a vegetarian diet. For more chickpea flour baking ideas including my recipe for chickpea flour and fennel sourdough bread, take a look at my chickpea flour baking post from a few years ago. This chickpea pancakes recipe uses a little bit of dried yeast as well as an egg to help them rise and make them light and fluffy. The pancakes themselves don’t include any spices such as cumin, coriander, mustard seeds or turmeric – as can often be found in Indian chickpea pancakes. Instead, I like to serve them plain or add some fresh ingredients (onion, chili and coriander leaves) to the batter. Serve with your choice of savoury topping; I’ve included some suggestions below. These chickpea pancakes are best served with a savoury topping. My personal topping of choice is a fresh salad of avocado, cherry tomatoes, rocket leaves or lamb's lettuce, seasoned with olive or rapeseed oil, salt, pepper and a little bit of lemon/lime juice. A spoonful of natural yoghurt on the side works well with this. Note: If you prefer to serve your chickpea flour pancakes plain, just leave out the onion, chili and coriander leaves from the recipe below. Yotam Ottolenghi serves his plain chickpea pancakes with this tasty spiced aubergine and coriander topping. Combine the chickpea flour, yeast and salt in a bowl. Add the beaten egg and the water. Add the chopped onion, chili and coriander leaves and combine well. Cover and set aside for an hour, until nice and frothy. Make the pancakes in a non-stick frying pan by heating up oil (I use a silicone brush to distribute a layer of oil evenly across the frying pan surface area). 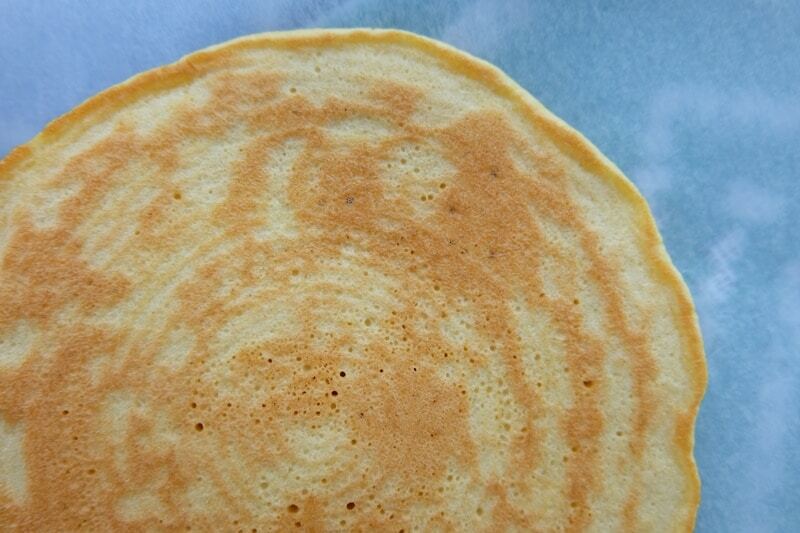 Use 3 tbsp of batter per pancake. 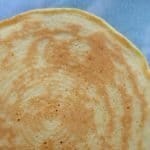 For more breakfast pancake recipe ideas, take a look at my buckwheat groats pancake recipe, this recipe for sorghum flour pancakes with options for both sweet and savoury breakfast pancakes or this recipe for galettes de sarrasin.